When I was driving to the airport for my flight from Charlotte, NC to Indianapolis, IN, I was nervous. 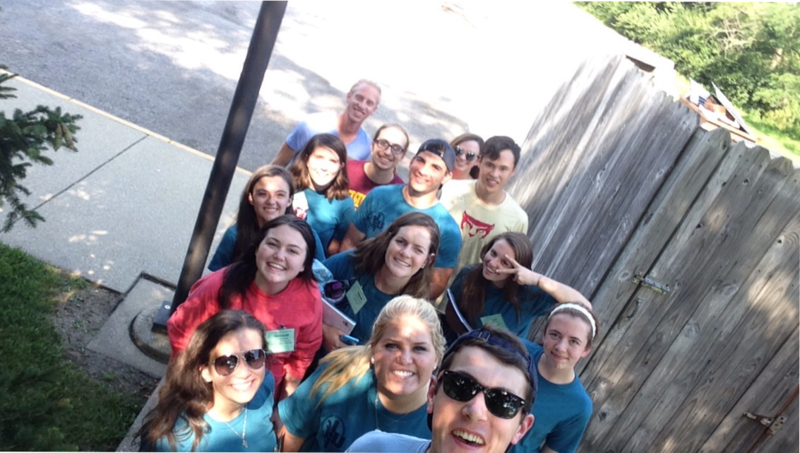 I knew I would learn a lot by attending the Undergraduate InterFraternity Institute (UIFI), but what exactly was I going to learn? Once I boarded the plane, I was excited to find I was seated next to another fraternity man who was going to UIFI as well. He and I talked about where we go to school, our Chapters and why we wanted to attend UIFI. I was excited I had made a friend before I arrive and was sure we would hang out for my entire UIFI experience. However, when we got to the Alpha Xi Delta house at Indiana University, we were quickly split into different groups. While we did get to hang out a bit, we spent most of our time with our groups or our “chapters” for meetings and activities. Within 30 minutes of meeting my chapter had already warmed up to one another. It was almost as if we had known each other for years and were together for a reunion. We learned together, shared laughs and hardships and became closer than I thought any group of people could in less than a week. UIFI taught me many valuable lessons. Some of the most important lessons that have stuck with me since were putting yourself out there, owning the good and bad of Greek life and supporting the entire Greek community. It wasn’t difficult for me to put myself out there. People who know me, know I am extremely outgoing. I like to talk to others and get to know them. I like to make connections and network whenever possible. Putting myself out there for other people to see not only made them comfortable in doing the same, but also provided me with the best possible UIFI experience. There are many ups and downs to Greek life. When some people put on letters, they think it’s their ticket to partying. The people I attended UIFI with were leaders and visionaries and knew that there was so much more to Greek life. We shared ideas to change the Greek community for the better and discussed ways to help those members struggling to accept changes. Standing behind our brothers and sisters, even in dark times, just goes to prove that we are truly a family held together by bonds and values. Fraternities and sororities are so much more than group of college students who party together and break laws. Lastly, one of the most important things I learned was the need to support the entire Greek community. One good way to support the Greek community (and our local community), are through other organizations’ philanthropic efforts. We’re all Greek and doing something for the greater good! Speaking from experience, I enjoy donating to other fraternity and sorority fundraising events. All Greeks are doing these events to make a difference and I want to be a part of that. UIFI was an amazing experience I will never forget. At the end of the institute, I was genuinely sad to leave my new friends as we all went back to our schools. However, I realized that we were being sent off with more knowledge than before and could better the Greek community around the nation. I am very excited to be back at the University of North Carolina Wilmington to share my experience with my Brothers and be a leader for them as we journey toward making the Greek community something everyone wants to join. Using what I learned at UIFI (and help from all of my Greek brothers and sisters), we can change the Greek community which is a reward worth the work. Click here to download your scholarship acknowledgement form. Please submit to John Fisher at fisher@chiphi.org. Chi Phi Educational Trust is participating in the 2015 North-American Interfraternity Conference Foundation (NICF) 2015 Alumni and Donor Survey. This project is a follow up to the donor survey research conducted by Cygnus Applied Research in 2011 in which 36 fraternity and sorority foundations participated. As Chi Phi works to support our members with scholarships, educational programs and services, fundraising is increasingly important and a significant part of fraternal life. The Alumni and Donor Survey will explore the variety of factors that influence members’ support. This research will provide valuable information to help Chi Phi forge stronger relationships with our Brothers. As part of this research, Cygnus Applied Research staff will be contacting Chi Phi Alumni and donors via email. Alumni and donors may be asked to complete an anonymous online survey. By completing this survey, Alumni and donors have an opportunity to help Chi Phi generate great support for Brothers, strengthen communications, develop new programs and more. Responses from this survey will also be used to develop national fraternal foundation benchmarks for alumni participation, key philanthropic metrics such as donor retention figures, average gift size and revenue projections. Responses will also help develop a series of recommended strategies for all fraternities and sororities to strengthen their fundraising activities, and generate greater support for their programs and services. However, this important research can only proceed if Alumni and donors are willing to participate. If you are contacted by Cygnus to be a part of this important project, which promises to generate a wealth of information for the fraternal movement, we hope you will consider taking a few minutes to complete this survey. If you have questions about the research project, the NICF, Cygnus Research or the Educational Trust, please contact Director of Development, John Fisher at 404.231.1824 or fisher@chiphi.org. The Fraternity and Trust have announced a collaborative effort to increase the presence and impact of the Chi Phi City Clubs. City clubs are one part of a larger l effort to increase engagement, comradery, and networking among Chi Phi Alumni. 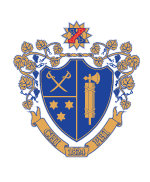 The history of the alumni clubs dates back nearly a century, as the nation’s oldest club, the Chi Phi Circle of Philadelphia, was chartered in 1916. In fact, the clubs continued to gain momentum leading up to World War II. The most active clubs included Chicago, Atlanta, Cincinnati, Columbus, Detroit, New York City, Northern California, and Washington D.C. Former Executive Director and Grand Alpha Carl Gladfelter, Alpha-Tau 1938, continued growing city clubs throughout the 50’s and 60’s. Gladfelter understood the importance of perpetuating the spirit of Brotherhood beyond the Undergraduate years and saw Alumni Clubs as an opportunity to provide this atmosphere for graduate members. The clubs served as much more than merely a means of socializing, as many of the clubs actively participated in undergraduate affairs. The Florida Chi Phi Association orchestrated a state wide summer rush program where incoming freshman of the University of Florida among other universities were invited to meet undergraduate and Alumni members at group events. Just down highway 95 the Miami Club, which was chartered in 1936, actively recruited rush prospects for the Theta Delta chapter through their social events. Additionally, the Atlanta Club assisted in the summer rush program for the Georgia, North Carolina, and Virginia chapters. Under the recommendation of Brother Gladfelter, the club would grow to sponsor an annual basketball tournament which would host the Southeastern chapters. Alumni clubs also supported the national Fraternity, with New York, Philadelphia Circle, Detroit, Columbus, Cincinnati, Chicago, Pittsburgh, and Birmingham clubs all sponsoring Congress. Club officers were also very involved in the national office as many of the leaders would go on to become members of the Grand Council or Educational Trust. Additionally, the reach of the Clubs extend beyond local affiliations. When properly registered, Clubs are permitted to send one non-voting delegate to Congress. Despite their storied history in the first part of the 19th century, interest in Chi Phi Clubs began to decline in the mid-60’s, and by the early 70’s many of the clubs were no longer active. Many factors contributed to the demise, with groups citing the cultural change of the era, businesses and families moving to the suburbs, and increased workloads in a developing economy. Despite the long absence, many members have openly discussed their desire for a communal bond among regional brothers through the Chi Phi Clubs. Both Alumni and staff orchestrated efforts have led to a resurgence of Chi Phi Clubs throughout the country. Currently there are seven active Chi Phi Clubs located in Boston, Atlanta, New York, Southern California, Indianapolis, Phoenix and Washington D.C. Efforts are underway to develop additional clubs, with a goal of establishing membership throughout all regions of the United States. Both Trust and Fraternity leaders are looking to identify those members interested in starting a Club in their area. Support can be provided to those members in various forms, including the promotion of the club regionally, local membership rosters, and much more. The National Organization has developed a simple process to aid in the creation of Clubs. Interested members should begin by contacting John Fisher, Director of Development with the Chi Phi Trust by phone (404.231.1824) or email (fisher@chiphi.org). John will work with the leaders to host and promote a kick-off event or meeting. Once the initial event has commenced, the group will work to develop Club by-laws and hold elections. Finally, the process will culminate with the application for a Club charter. Chi Phi Clubs offer an opportunity for networking, fellowship, socialization, and progression all in the spirit of Brotherhood. The National Fraternity looks forward to working with alumni members to promote and grow Chi Phi Clubs with the understanding that Chi Phi is not just four years, but for life. At the inaugural Chi Phi Board of Advisors meeting in January 2014, Alumni discussed the MacLean Legacy Society, Chi Phi’s loyal supporters who remember the Fraternity or their Chapter through their estate plan. Advisors discussed the types of gifts MacLean Legacy Society members established and soon realized nearly every member had left a bequest or named Chi Phi as the beneficiary of a retirement account or insurance policy. The advisors also quickly realized this left several giving options not available to potential donors, including charitable gift annuities and charitable remainder trusts. Both gift annuities and remainder trusts allow donors to transfer assets to Chi Phi Educational Trust, receive an immediate tax deduction and provide the donor with income for the remainder of his life. Advisors asked Trust Chairman Chris Shuler, Alpha Zeta 1984, to work with the Trust Gift Acceptance Committee and staff to determine if these were viable giving vehicles for Chi Phi Alumni. After investigating the regulatory requirements and reviewing best practices, the Trustees determined charitable gift annuities and charitable reminder trusts did indeed make sense for Chi Phi. Staff quickly got to work promoting these new giving options to potential donors. Brother Wray Pearce, Tau 1966, and his wife Joan, had been thinking about how they could impact Chi Phi for years to come. “We wanted to give back to an organization that has given me so much. I had a great time as a Chi Phi at the University of Alabama. I met some of my best friends through the Fraternity,” Wray shared. As luck would have it, Director of Development, Elizabeth Vaughn, paid Wray a visit during a trip to Birmingham. Wray expressed his desire to remember Chi Phi and to help ensure Joan had a source of income if something happened to him. As a successful CPA who has spent over forty years providing individuals and corporations with tax advice, Wray also wanted to maximize his tax benefits with his gift. As Elizabeth and Wray discussed his desires, it became clear a charitable gift annuity would help Wray and Joan achieve their goals. Wray’s gift would allow him to take a significant tax deduction in 2014, provide support for Chi Phi long after his life and by naming Joan as a second beneficiary, ensure she received income for the remainder of her life. “This gift made sense for us. We can help Chi Phi Brothers for generations to come, and we also get a small benefit. Charitable gift annuities are great giving options, especially for Alumni with appreciated securities or those facing significant capital gains tax,” shared Wray. “We are excited to establish our first charitable gift annuity and to help ensure a bright future for Chi Phi. When we looked at the benefits and challenges of establishing this type of gift, it quickly became clear the benefits far outweighed any challenges,” Hans Stucki, Iota 1970, Trust Gift Acceptance Committee Chair, remarked. Alumni interested in more information about charitable gift annuities or charitable reminder trusts can contact Director of Development, John Fisher at 404.231.1824 or fisher@chiphi.org. Like so many others, we have anxiously been waiting and watching the US Congress for the last month. As a charitable organization, we are particularly interested in the IRA charitable rollover provision. Late last night, December 16, Congress voted to extend the provision. This provision allows owners of individual retirement accounts, who are 70 1/2 and older, to contribute up to $100,000 of their IRA assets directly to public charities, like the Educational Trust. While there is no charitable deduction for the gift, the gift will not count as ordinary income for the owner. The contribution of IRA assets to a non-profit can also count toward the owner’s required annual withdrawal. This benefit is only good through December 31 – 14 days from now! Why is gifting from your IRA better than taking the income from your IRA and writing a check to charity? Take the example of a $10,000 gift. Someone who doesn’t itemize deductions normally would receive no tax break for the gift. But the qualified charitable distribution would allow the taxpayer to exclude the $10,000 from income. Assuming one is in the 25% tax bracket, that would save $2,500. Someone who itemizes wouldn’t get a deduction, but the $10,000 charitable contribution wouldn’t boost taxable income. That could help keep adjusted gross income below the thresholds at which one loses some deductions and other tax benefits. For example, individuals with more than $200,000 of adjusted gross income (AGI) and couples with more than $250,000 are subject to the new 3.8% tax on net investment income. Individuals with AGI above $250,000 and couples above $300,000 now start losing personal exemptions and itemized deductions. As income rises, one also can lose deductions for medical expenses, casualty losses and miscellaneous itemized deductions. The provision may also help taxpayers avoid or reduce taxes on Social Security benefits and avoid higher Medicare Parts B and D premiums, which kick in when adjusted gross income exceeds certain thresholds. To take advantage of this legislation and to help Chi Phi Brothers, contact Director of Development, John Fisher at 404.231.1824 or fisher@chiphi.org. For those of you who do not know, the Alphas Academy program was started a few years ago by Chi Phi as a way to train incoming Alphas in the ways of running their respective Chapters. I can honestly say that without this program my term as president would not have gone nearly as well. A special thanks goes out to Alpha-Tau donors for covering my travel expenses to Georgia for this event. At Alphas Academy, I gained first-hand knowledge on the inner workings of the Chi Phi National Office. I learned all of the various benefits that the national office provides our chapter, something that seemed nebulous to me before the Academy. The thing that stuck in my head the most was that the national office began chapter excellence funds (CEFs) that give students scholarships and grants. Alumni, students, parents and friends can make gifts to these CEFs to help Brothers in their respective Chapters. The Alpha-Tau CEF allowed me to attend Alphas Academy. I also learned about chapter accreditation, something that I have excelled in since Alphas Academy and hope to do so again during my second term as Alpha. Chapter accreditation allows the national office to check up on us as a Chapter and see how we are standing in various fields; socially, brotherhood, and academically. We succeeded in becoming accredited last semester. Not only did I learn about the operations of the national office, but I was also taught invaluable leadership skills. After Alphas Academy I was more effectively able to handle many of the problems that arise during an Alpha’s term. An example of this was the apathy that was growing in the Chapter. It started to spread like a cancer and I dedicated my entire term to combating this cancer. I am happy to say that brotherhood attendance to our events has increased significantly since we started giving people more incentives to come to our events like raffles and prizes. I would not have been nearly as successful as an Alpha had I missed Alphas Academy. I extend my gratitude to the Alpha-Tau Alumni and the Educational Trust for supporting me and the rest of my Chapter in its growth as a brotherhood. 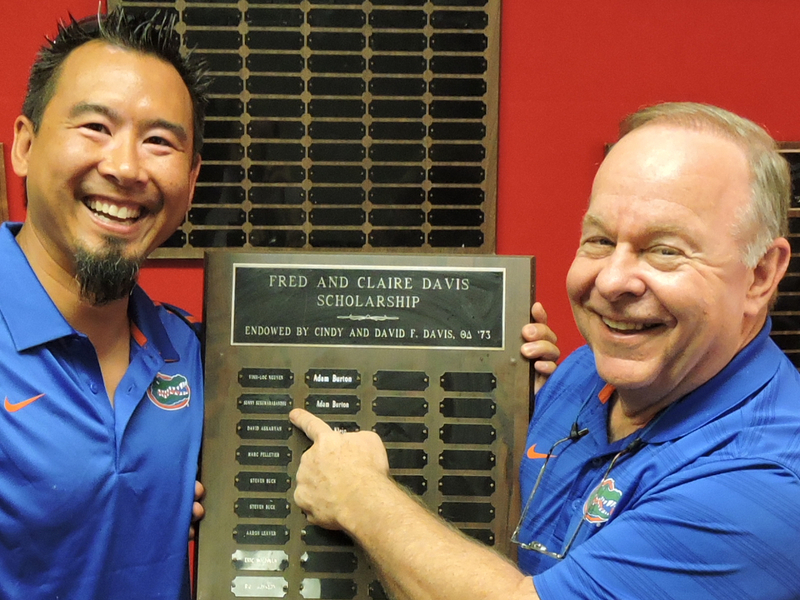 As one of the earliest recipients of scholarship funds from Theta Delta, Kamthorn “Sunny” Sukumarabandu, Theta Delta 1997, joins with Theta Delta Scholarship Foundation, Inc. President, David Davis, Theta Delta 1973, in front of plaque that recognizes Sunny as the recipient of the Fred and Claire Davis Scholarship endowed by Cindy and David Davis, in honor of David’s parents. Kamthorn “Sunny” Sukumarabandhu, Theta Delta 1997, was an active and engaging young brother of Chi Phi at the University of Florida some 18 years ago. Inspired by his attendance and participation at the Chi Phi College of Excellence, he set goals for the Chapter, posting them in the Chapter Room. As the goals were accomplished, he would place the Fraternity letters at the end of each line with a red marker. He had learned that this was a way to bring the entire chapter together to meet goals. Sunny was one of the first recipients of a scholarship through the Theta Delta Scholarship Foundation, Inc, a predecessor to the Theta Delta Chapter Excellence Fund. This last year he made $2,000 in donations to the Changing Lives $10 million Campaign for Chi Phi. Sunny’s recent gifts to Chi Phi demonstrate the full circle of the fraternity experience. Young members receive, and later they give back. Chi Phi continues to thrive thanks to alumni like Sunny. Many have called Carl J. Gladfelter, Alpha-Tau 1933, Zeta Delta 1956, Iota Delta 1958, Psi Delta 1970, Eta Delta 1975, the “greatest Chi Phi who ever lived.” Gladfelter spent ten years on the Grand Council, including four as Grand Alpha. He worked professionally for Chi Phi for 17 years. Despite the tremendous change he encountered between his first term on the Grand Council in 1947, and his retirement from Chi Phi in 1977, he remained keenly focused on four priorities: (1) expansion and bring the Chi Phi experience to new men, (2) the financial health and viability of the organization, (3) documenting and preserving the history of Chi Phi and (4) encouraging and educating young men. As Grand Alpha, he accomplished something no other Grand Alpha had previously done. Gladfelter visited every Chapter – 34 at the time – between 1956 and 1957. He was an early advocate for establishing a leadership training school to bring Chi Phi men together. He pushed to modernize Chi Phi’s expansion program. He went on to serve as the chief staff person for the Fraternity from 1960 to 1975. During those tumultuous years for fraternity life across the country, Gladfelter, often single-handedly, held the Fraternity together. Not only did he preserve Chi Phi, but he added 17 new chapters during that time period. He documented every step of the way as editor of The Chakett and co-author of The Chronicles of Chi Phi: 1939 – 1976. More than virtually any other Brother, Gladfelter’s vision, tenacity, and leadership have had a positive impact on Chi Phi and thousands of young men spanning generations. Earlier this year, Greek Life Museum Committee member, Matt Apesos, Mu 2005, had the opportunity to sit down with Gladfelter to reflect on his time with Chi Phi for the Greek Life Museum. Apesos: You entered the University of Michigan in 1929, just months before the Wall Street Crash and the beginning of the Depression. What was life like on a college campus during that time? Gladfelter: While life in the “real world” was extremely difficult, life on campus was a respite from the Depression. I lived in the Chapter House, where we shared dinner every evening. We always had a Brother that could play the piano and the rest of us would sing songs almost nightly. We hosted house parties and played cards. Women were not allowed in the house back then, so it was just us guys. It was a wonderful time really, making those memories with Brothers. I did serve as the Chapter Delta when all the banks closed. I was holding $1,500 in checks that were no longer worth the paper they were printed on! There were a few things that were really different from life on a campus today. There were no dormitories on campus. Everyone lived in a fraternity house or in a rooming house. Also, in spite of being only 45 miles from the automobile capital of the world, students were not allowed to have cars on campus. We couldn’t drive to visit family, a Brother, or a potential member. Scholarships and loans didn’t exist back then. I was very fortunate my father never lost his job, and I was able to finish College. I am happy to see Chi Phi is a source of financial help for Brothers today through scholarships. Apesos: What was your most memorable experience as a Chi Phi? Gladfelter: The friends. That was the best part of the whole thing. The friendships I developed through Chi Phi were lifelong. I stayed in touch with those men no matter where I moved. The companionship within the group of Brothers over the years that extended beyond graduation was the best part of the Fraternity for me. The Alumni contacts were also excellent. The Alumni returned to campus to help us, to share their ideas. They helped guide us and helped us to grow and develop into men. Alumni are so important to our Chapters. Apesos: I think most of us remember attending our first Congress. When was your first Congress? Gladfelter: It was in Detroit, MI in 1932. It was held at the Detroit Leland Hotel that had just been built a few years earlier. I don?t remember too much about it because I had just joined the Fraternity. I was not the Chapter?s official delegate so I was only involved in the social parts of Congress that year. It was a wonderful event. Apesos: You joined the Grand Council in 1949, as Grand Zeta. How did you become a member of the Grand Council? Gladfelter: I was part of a group of men that helped save the Alpha-Tau chapter house during World War II. The Chapter was almost out of existence because there were no men on campus, and we couldn’t pay for the house. This group of men helped negotiate a lease with a sorority to keep the house. Through that involvement, then National Director, Judge Luther Rosser, Omega 1908, had heard about what we did. He shared my name with Grand Alpha J. Pollard Turman, Gamma 1934, who later asked me to serve on the Grand Council as Grand Zeta. I enjoyed my time on the Council and continued to serve as Grand Zeta under the next Grand Alpha, Eugene T. Benham, Iota 1911. Of course that led to my election as Grand Alpha at the 1952 Congress in Cincinnati. Apesos: After your time on the Grand Council you became the National Director of the Fraternity. That was in 1960, another tumultuous time in US history. What was it like leading Chi Phi as a staff member instead of a Council member? Gladfelter: I still had the same objectives for Chi Phi…expansion, financial health, preserving history and educating young men. A huge part of the National Director?s role was teaching Chapters how to become a Chi Phi Chapter. Both Judge Rosser and I made sure Chi Phi traditions and values were carried out from one Chapter to another. We didn’t use a handbook or anything, we just taught them the important Chi Phi values. By teaching the whole Chapter about our values and Ritual, we were also teaching individuals how to live those values. We showed them what it meant to be a true gentleman, a Chi Phi man. We made sure the Chapters had a Chapter Room where they kept their Ritual equipment. We made sure they kept that equipment in good order. I know today a Chapter Room isn’t required, but I think it’s important we keep doing Ritual. The Ritual was something that we insisted on being performed and performed correctly. I was also responsible for visiting every Chapter every year. We didn’t have field staff during that time. This helped me understand how a Chapter was performing. I knew what areas were challenges for each Chapter and what areas were strengths. I also kept close contact with the Dean of Men or Dean of Fraternities to help make sure that if we had problems we had a friend on campus. That also helped me form relationships at campuses where we didn’t have Chi Phi Chapters. Those relationships of course led to many of the expansions that happened during my tenure. I think those relationships might have been the most important thing I did for Chi Phi. Apesos: As National Director, what did you do to help Chi Phi survive Vietnam and the cultural revolution of the 1960s? Gladfelter: That was a very difficult time for Chi Phi and all fraternities. We had to remove many members for drug use. I had to physically remove men from my own chapter house for drug use. We also had to ban several Alumni from Chapters to keep out drugs. We did lose several Chapters during that time, but we were able to save several others. The Alumni involvement was critical in the Chapters that we saved. Strong Alumni have always been the key to a strong Chi Phi and strong Chapters. Without Alumni support, Chapters can?t make it through these times of crisis. Apesos: Where there any Alumni who played key roles in assisting you during your time on the Grand Council or as National Director? Gladfelter: There were Alumni from every Chapter that helped! I had a connection with two to three Alumni from every Chapter who I could call for help at any time. Those men were able to assist the Chapters when they needed help, to provide guidance to the men in the Chapters and so much more. I think that was the key to many of our successful Chapters, having those deeply involved Alumni. Apesos: During that very difficult time for Fraternities, you still pushed for expansion of Chi Phi. Why did you think it was so important to grow the Fraternity? Gladfelter: There is no question; during my years on the Grand Council and as National Director I stood for expansion. I felt expansion was critical to our survival. Part of it was financial; we needed more Chapters and more members to ensure we had the funding necessary to support ourselves. We also wanted to keep up with other Fraternities. I knew we had a better product than some of these other groups, and I wanted to share that with more campuses. When I was and undergraduate, there were a lot of colleges that we just would not consider as Chi Phi material. We were quite elitist. We only wanted to be at top tier academic institutions. I wanted to open Chapters at good schools, but I knew there were quality men attending colleges and universities that we weren’t considering. I think we should always be working to grow Chi Phi. The college system has changed so we have to make some changes as well, but we can and should still grow the Fraternity. Apesos: Another area that was important to you was the preservation of Chi Phi history. You helped write the 1939 – 1976 update of The Chronicles of Chi Phi. What are your thoughts on the Chi Phi Greek Life Museum? Gladfelter: I think it?s a great initiative. The 1919 flood at Zeta Chapter cost Chi Phi a lot of archival materials. Judge Rosser actually brought the recovered items back to Atlanta. But of course back then, we didn’t have the know-how, or the money to preserve all of our history the way we do today. I think Alumni will really want to visit the Museum and other Greeks as well. I wish we had something like that years ago. It would have made writing the Chronicles much easier! Apesos: If you could say one thing to Chi Phi men 100 years from now, what would it be? Gladfelter: Know the Chi Phi Ritual and values. Understand the tie that binds. The Ritual and values are what defines our Fraternity and us as men. By understanding our Ritual, you can understand how to live our values. By living our values you will be a better man. Alumni have an opportunity to honor Carl Gladfelter and ensure his legacy lives on by creating the Carl J. Gladfelter Display at the Greek Life Museum. Gifts to this Display will help digitize his many papers for posterity, record his memories and showcase the efforts of one of Chi Phi’s greatest Brothers. Every donor contributing $600 or more (just $10 per month over five years) will be recognized on a permanent plaque alongside the Display. Chi Phi will present Carl with a list of all donors contributing any amount to demonstrate the gratitude the Brotherhood has for his leadership and service. Share your stories, correspondence and photographs involving Carl Gladfelter by sending material to the Greek Life Museum Office 1160 Satellite Blvd. Suwanee, GA 30024. Make a one-time gift or multi-month pledge to support the Carl J. Gladfelter Display online at www.chiphicampaign.com/donate or by contacting Director of Development, John Fisher at 404.231.1824 or fisher@chiphi.org. When Chi Phi launched the ambitious $10 million Changing Lives Campaign in 2009 there were many doubters. The country was in an economic crisis. Even the data showed Chi Phi could only raise $5 million. Chi Phi had never tried something this in its 189-year history. With a committed group of volunteers and more passion for the Fraternity than could be contained, Alumni leaders decided Chi Phi couldn’t afford not to launch this Campaign. The country needed better leaders, better men…Chi Phi men. Chapters and Brothers were eager to grow, to develop, to improve. The campaign was necessary to help the next generation of Brothers achieve their dreams. Alumni, parents, actives and friends from around the world have stepped up and answered the call to change the lives of Chi Phi Brothers. Generous donors have committed $9,318,444 toward the $10 million goal for the capital campaign. These donors have made Chi Phi a great Fraternity again! These donors brought back the College of Excellence, expanded the Regional Leadership Alliances, funded over $500,000 in scholarships, sent Brothers to the prestigious Undergraduate Interfraternity Institute, built the Chi Phi Greek Life Museum and started the Alphas Academy. The Campaign and these donors are changing the lives of Chi Phi Brothers, the face of our Fraternity and the trajectory of the nation. Chi Phi is building the next great generation. Alumni still have opportunities to add their name to this historic effort. To participate, visit www.chiphicampaign.com or send a gift to change lives to Chi Phi Campaign Office PO Box 2187 Columbus, GA 31902. Alumni gifts will help Chi Phi meet its ambitious goal and show just how important Chi Phi is to the future of our nation.